This past weekend I was steeped like a little yogi teabag in an anatomy intensive (part of Teacher Training). They really weren’t playing when they devised that title — anatomy is intense. Made altogether more intense by the fact that I was sitting next to a lady with gallons of perfume on. I was wishing that I could detach part of my anatomy (nose) temporarily! Dammit woman, you practice yoga, you should know better! But I digress … that’s another post. One of the most enlightening parts of this weekend was learning about the diaphragm. I can’t say I ever paid much attention to what was going on in there when I breathe. Having a general idea is vastly different from actually seeing how the diaphragm works. When you understand that your diaphragm draws down as you inhale and upward as you exhale, you can begin to comprehend HOW you make space. You can actually visualize what happens as you breathe, which is immensely helpful for being with and in your own body. Instead of being outside of it and experiencing respiration from a figurative distance, you’re now armed (diaphragmed?) with deep anatomical knowledge. 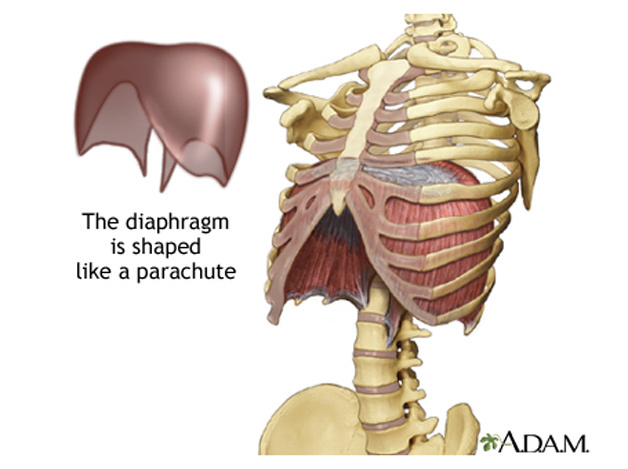 In shape and function, the diaphragm really is life’s parachute. It keeps us alive. Just like yoga. found your blog off of babs babble. its beaut-e-us! Hi Rachel — nice to meet you! I love how we all come together like magic. :) Pretty awesome. Bodily stats always blow my mind, it is remarkable what our bods do for us. This is great! You can actually learn to feel your diaphragm in action. Next time you go to the bathroom (for a number two… which rhymes with poo) notice the downwards pressing feeling at the bottom of your lungs. You’ll have to separate that feeling from the feeling of your abs contracting. Slowly and smoothly contract your TA inwards (pull belly to spine) to exhale and then smoothly contract your diaphragm downwards to exhale. Another method of breathing which also moves a lot of air in and out of the lungs involves bending the spine while moving the ribs at the same time. If you start with your spine bent forwards and your ribs down (like slumping on the sofa) you can then slowly bend your spine backwards while lifting and expanding your ribs. 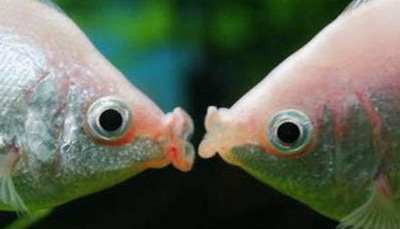 Pull your head back and up at the same time. Then slowly slump down again. Sitting up straight you can use your spinal erectors. Expanding your ribcage you use your intercostals. Slumping down, the weight of your ribs sinking down helps your exhale. This is different that just moving your ribs to breath. If you move your spine and ribs at the same time, your ribs have a lot more mobility relative to each other and so it is easier to take deeper breaths. Although the movement starts of “gross” or big, it can be made smaller while still moving a lot of air. Other advantages of this method, particularly while doing yoga, is that it mobilizes the thoracic spine and ribcage helping to make both more flexible. 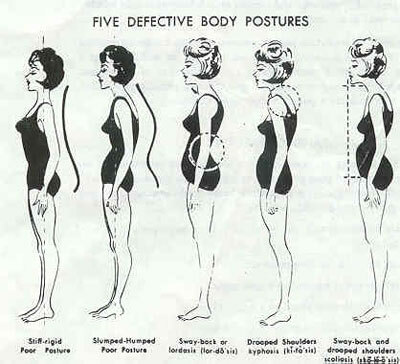 If you hold your lower belly in (the part of the belly about three finger widths above the pubic bone) at the same time as you straighten your spine and if you allow your upper belly to expand at the same time then you may actually be using your spinal erectors, intercostals and diaphragm to inhale.